The NVIDIA Quadro FX 3400 graphics solution offers top quality, as a solid basis for your daily work. The NVIDIA Quadro FX 3400 graphics solution offers top quality, as a solid basis for your daily work. It all models of the Quadro series are specially designed for business applications such as DCC, CAD and more. We provide you with the used graphics card in order to help your system to better performance, without causing high cost. 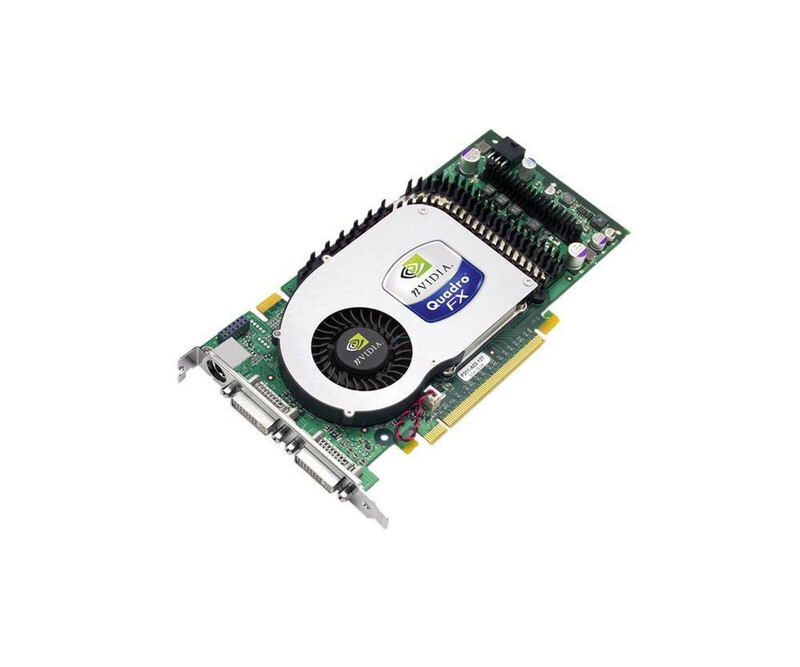 Performance Technically, NVIDIA Quadro FX 3400 in 400 MHz RAMDAC clock and 256MB of GDDR3 video memory. The latter is connected to the quick access via a 256-bit memory bus and is running even with a clock frequency of 900 MHz. Using the SLI technology, multiple graphics cards can be operated simultaneously in one system. With regard to the external interfaces, you can connect two DVI-I ports use to operate your screens. In addition, a mini-DIN-3 pole connector is available to connect a 3D glasses with the system. On Monitor 2400 pixels resolutions up to 3,840 x possible, of course, also be lower fully assisted, like 1920 x 1200 pixels. But power is not everything, because the NVIDIA Quadro FX 3400 also offers new programming options and high precision. As APIs can thereby DirectX 9.0 and OpenGL 1.5 use. To take advantage of the used graphics card, all you need is a free PCI Express x16 slot.